The honeymoon period of learning easy things is slowly coming to an end. Slowly we will shift our focus from basic and easy topics to much harder and advanced topics. Though the topics may be advanced, but don’t worry, they will be extremely easy to understand on this blog. At Moneypalm, unlike other educational blogs or sites, our focus is less on using difficult jargons to further complicate things and more on using simpler terms and references which makes understanding the topic a cakewalk for our users who are also our friends. So after the much loved self-praise in the above paragraph, let’s get down to the work. Today we will learn the basics of Futures trading. 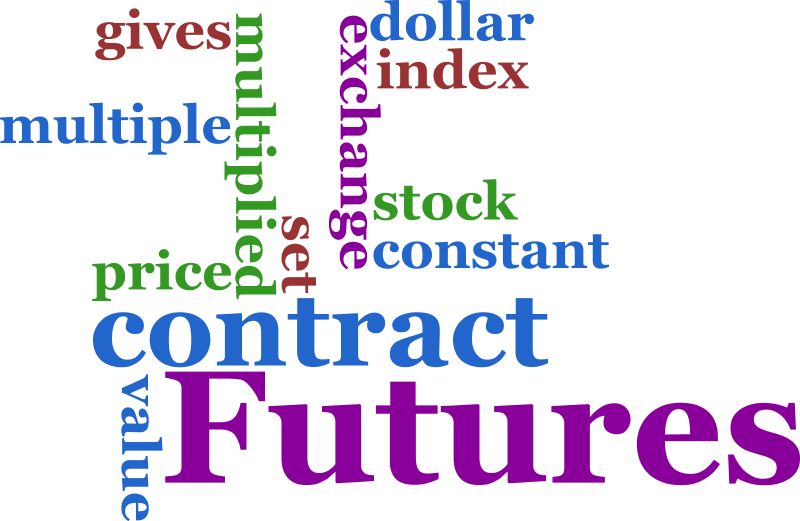 So what is a “Futures Contract” or in simple market term “A Future”? A futures contract is an agreement between a buyer and a seller. Here the buyer agrees to purchase from the seller, a fixed number of shares in form of lots, at a pre-determined time in the future, for a pre-determined price. The details of the contract are agreed upon when the transaction takes place on the trading terminals. Since futures contracts are standardized in terms of expiry dates and contract sizes, they can be freely traded on exchanges through the trading terminals. After the basic understanding of the futures, we can now more further and understand futures in detail. But before doing so, let us first understand the pros and cons of trading in the futures market. 1. As a trader in the stock, currency or commodity market, the futures give us a fairly good, if not a correct idea of the prices of the underlying stock or commodity or currency. 2. Futures are mainly used as a hedging instrument to protect our investment from uncertainties of the markets and minimising our risks. 3. As a trader in the futures market, you do not have to pay entire value of the futures purchased, instead you just have to pay a small margin of the whole amount. This helps in better utilisation of your funds and you can trade big values with smaller amount in your account. Futures trading, now let’s understand the negatives. 1. Future is a derivative product and is far more difficult to understand than the cash market. So a trader with the basic knowledge of the markets, will find it extremely difficult to trade in futures and might end up making losses. So it you are new to the markets, we will advise you to avoid futures, until you thoroughly and deeply understand it. 2. The leverage that we get from the exchanges for trading in the futures was one the positives we listed above. Sadly, the same leverage is also the negative of trading in the futures. Leverage can be extremely dangerous if we make losses as the losses increase multiple folds in futures when compared to the spot market and even a single wrong trade is capable to wipe out the whole portfolio. There are always two sides of a coin. Similarly, everything in this world has its positives and negatives. Understand them!! Analyse both the positives as well as negatives, taking in view your investment needs, risk appetite and risk to return ratio. So if you feel that the benefits of trading in futures are more than the risks associated with it, than you should probably go through the next paragraph and our upcoming posts on futures trading. 1. Lot/Contract size: The futures contracts cannot be traded for a single share. The exchange fixes a lot size of a particular underlying stock and differs from stock to stock. This means when you trade in futures, you have to buy or sell a specified number of shares as fixed by the exchange. The same goes for index futures, commodities and currency futures. 2. Duration: Futures contracts are available in durations of 1 month, 2 months and 3 months. Once a particular contract expires, another contract is introduced for each of the 3 months. The month in which a particular contract expires is called the contract month. New contracts are issued on the next day after expiry of the current contract. 3. Expiry: All 3 contracts are traded concurrently on the exchange and expire on the last Thursday of their respective contract months. If the last Thursday of the month is a holiday, they expire on the previous business day. We hope that the basic concept of the futures is now clear to you. We will take up more advanced topics in Futures in our upcoming posts. But for that the basic concept of futures should be crystal clear to you. Do not shy away from asking the questions as the answers will help further clarify any doubts that you might have. Thanks for all the time and the support that you give us. We will be back soon with a new topic.